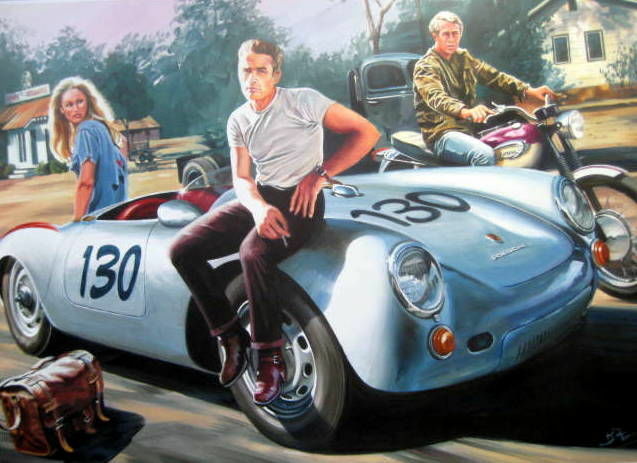 Porsche 550 Spyder/James Dean-Ursula Andress - 29-Sept.
September 29, 1955. 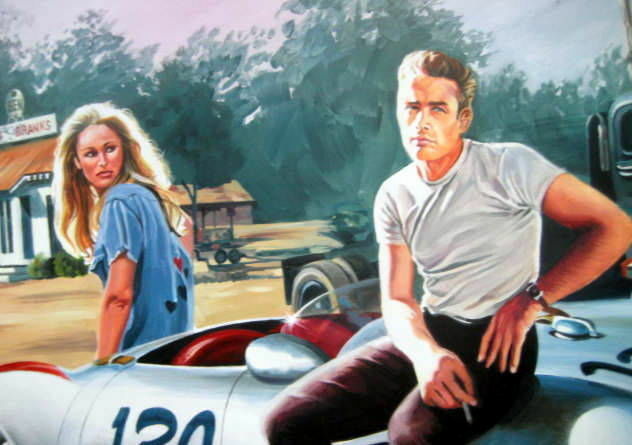 James Dean and Ursula Andress separate. - Won't you come with me? " - No James, I'm sorry. 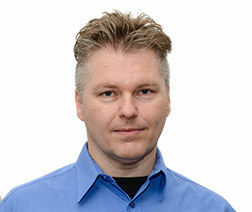 I hope you'll forgive me ... "
Ursula leaves Jimmy without suspecting that she will never see him again. 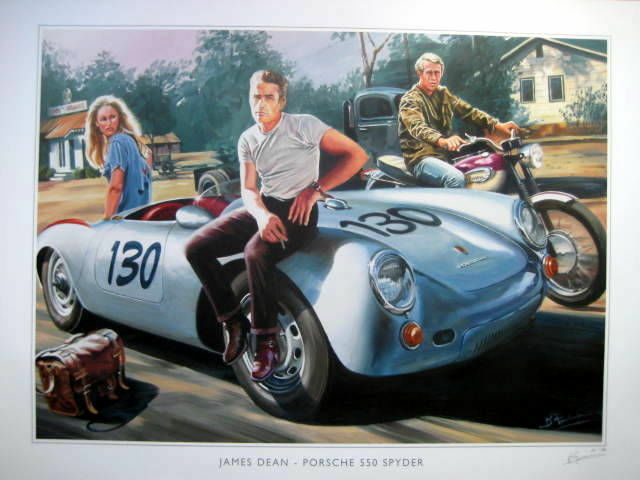 The next day, James Dean takes the road in his powerful Porsche Spyder 550 to race in Northern California. 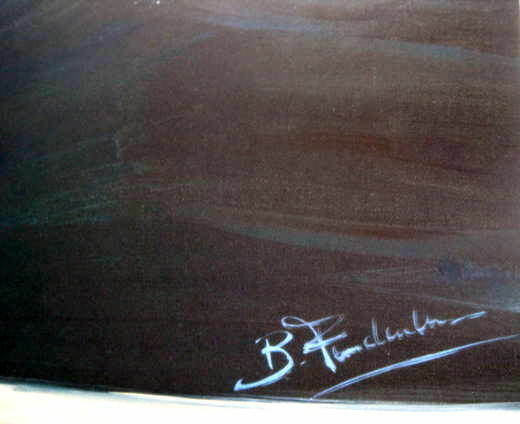 Suddenly, at an intersection of Highway 466, a Ford Sedan cuts off the road. James Dean dies in full glory at the age of 24. Size : 80 x 60 cm.